Without giving a definition of the “kingdom of God,” Christ uses parables to describe it in order to help his disciples understand. He likens the kingdom of God with the growing seed and mustard seed. 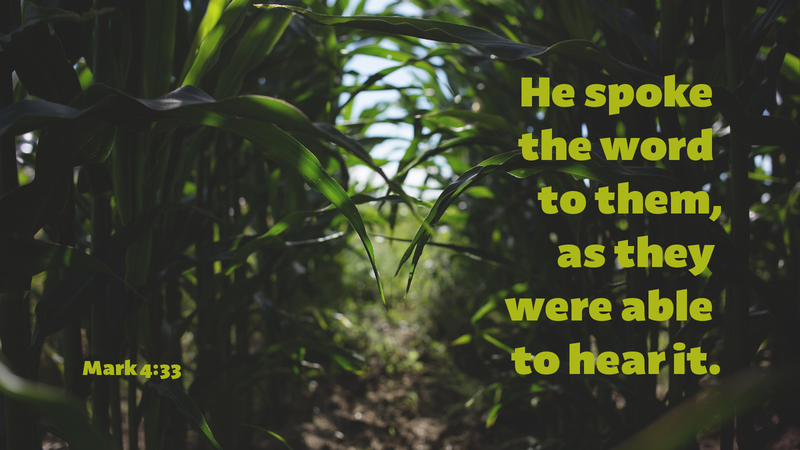 Together, the two parables teach first, that God partners with us to grow his kingdom. Second, like a small seed that, once planted, grows to be a big tree, the kingdom of God starts small and grows to be big. Most importantly, God himself makes sure that the seed that is sown is shared and produces fruit. God said through the prophet Isaiah: “So shall my word be that goes out from my mouth; it shall not return to me empty” (Isa 55:11). Prayer: Lord God, help me to be a faithful partner in this mission to which you have associated me. Amen.